Earlier this week, an executive at the Housing and Urban Development Department reportedly sent a memo to senior political staff announcing a change in the 53-year-old agency’s mission statement—one of a half-dozen agencies or offices to change, or consider changes, to their stated core values since the start of the Trump administration. The memo from HUD public affairs assistant secretary Amy Thompson was leaked to the Huffington Post, which reported that the words promising inclusive communities “free from discrimination” in housing were being removed in favor of language promoting self-sufficiency. Efforts to align mission statements with a new administration’s policies are clearly important to the Trump administration. Changes have been made to mission statements at the National Security Agency, U.S. Citizenship and Immigration Services, the Consumer Financial Protection Bureau, the State Department and at the Environmental Protection Agency’s Office of Science and Technology. They have been considered or debated at the Veterans Affairs and Interior departments. Such changes may be done to modernize or reflect an altered policy, observers note, and must remain within the statutory definition of the agency’ purpose as enacted by Congress. They’re usually made after consultation with the workforce and outside stakeholders. And if they’re controversial, they often generate media attention agency planners hadn’t bargained for. “It can be a powerful exercise,” he said. 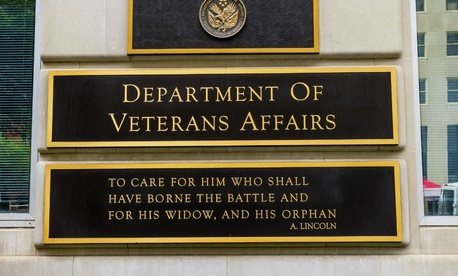 The Veterans Affairs Department has been wrestling with internal dissension over the longstanding question of whether to update the mission statement that quotes President Lincoln—“To care for him who shall have borne the battle and for his widow, and his orphan”—with one that reflects the existence of female veterans. But a VA spokesman told the Post that the change was not official, and the proposed new statement was removed. At the State Department, according to reporting last August by Post foreign affairs columnist Josh Rogin, Secretary Rex Tillerson’s team had been mulling a changed mission statement that would no longer mention promoting democracy. “The department’s mission is to shape and sustain a peaceful, prosperous, just, and democratic world and foster conditions for stability and progress for the benefit of the American people and people everywhere,” said a version released in 2016 strategic plan.